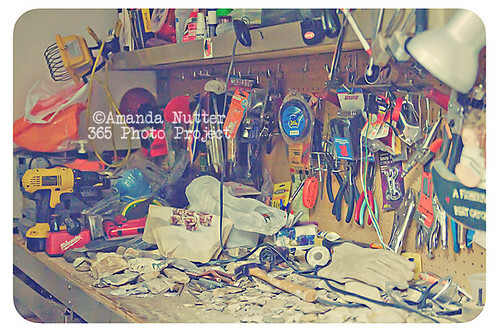 My father's workbench. This is so my dad. He knows where everything is, too.